Fisherman's Warf: This is a view of the harbor side of San Francisco. 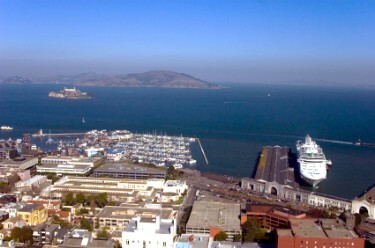 You can see Pier 39, Fisherman's wharf and the cruise ship terminal. A ship is docked in the terminal. This area is a popular tourist area.